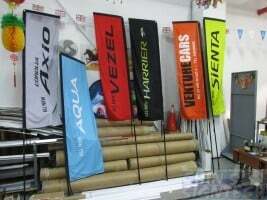 Use this Feather flag banner at your next event to promote your products with an eye-catching, flying design. The flying effect that will maximize exposure and increase the impact of your message. 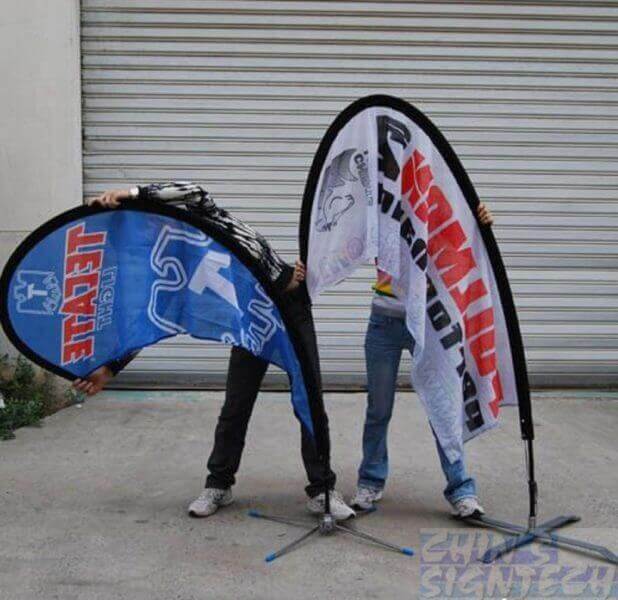 The feather shaping flag is unique which will also aid in capturing the attention of passersby. Teardrop Flying Banner : Shape of a Water Droplets. Feather or Sail Flags : Shape of a Feather, Sail or Blade. 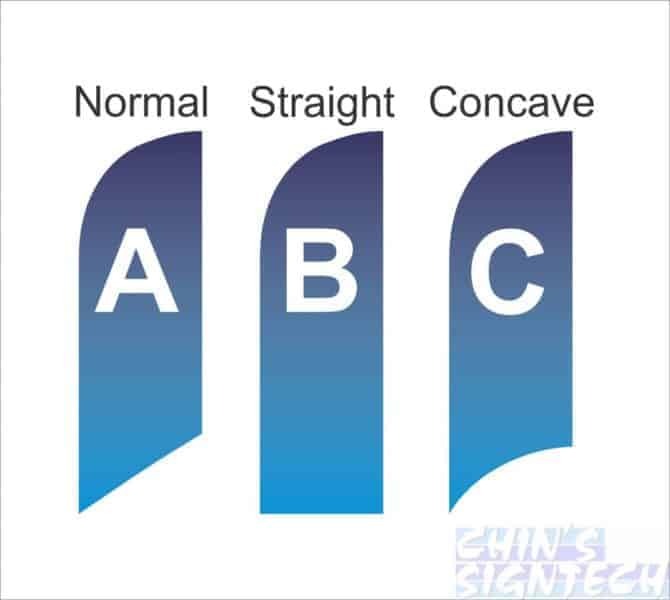 Which shape is most suitable for me? It really depends on what you’re displaying. 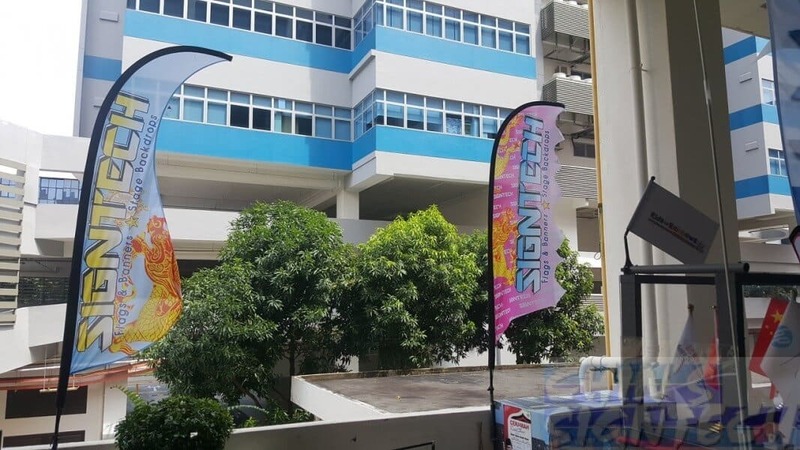 Each shape promotes a different feeling, for instance ‐ the Teardrop flying banner, Dragon Feather Flying Banner or S-shape Feather Flying Banner gives the impression of fun, whereas the Feather and Rectangle flag is often used in corporate design as it looks very sleek and serious. 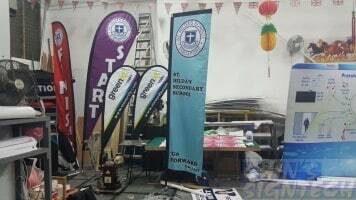 Teardrop banner and S-shape Feather Flying Banner have smaller flag surface, so texts and images are limited. 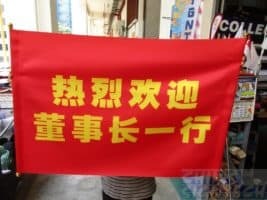 Unlike Feather Flag and Rectangle flag, they seen to be larger and longer. 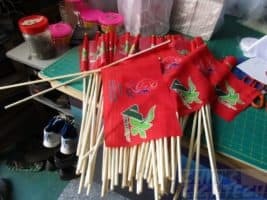 Can these Feather flags be used indoors and outdoors? 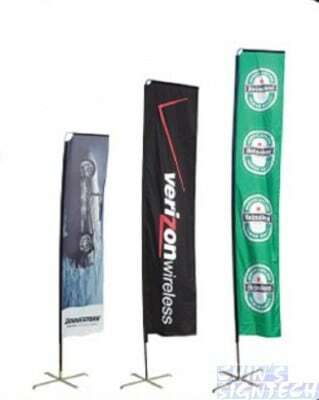 All of these outdoor advertising banners are perfect for any type of event, either inside or outside.This feather banners is designed to withstand moderate wind and weather conditions when secured properly into the ground with spike, or when using the weighted base or water bag. 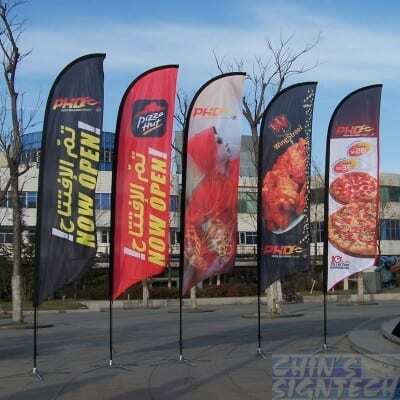 For long term outdoor, Signtech recommend do single sided flying banners. 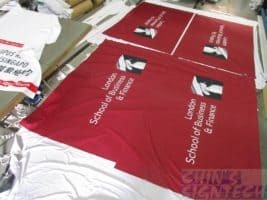 The fabric will be lighter and wind can pass through those tiny holes on the fabric, your flying banners will last longer and durable. 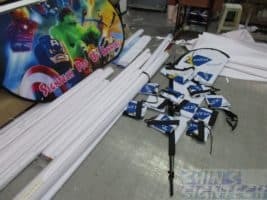 Feather Flags also know as Blade flags, Sail Flags, Beach Flags, used at beach for any kind of events. 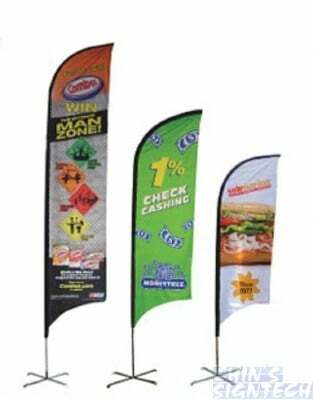 Standing over 12 feet high, these Feather flags are sure to make a lasting impression in the minds of customers. 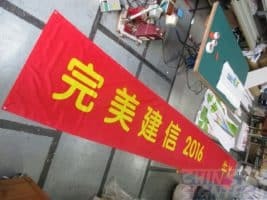 Each flying banner features a stylish shape, there is never a need to have to adjust the flag to make sure that your message is visible. 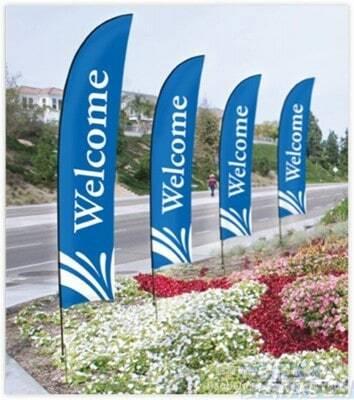 Because of their unique flying design, these Feather banners are ideal for outdoor events where wind is a factor. 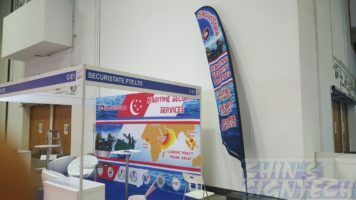 Due to the limited size and height for the Feather Flags, they are ideal for simple graphics with big bold lettering. 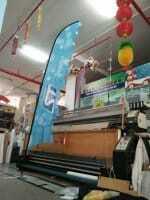 Cross base with water bag is used on Teardrop or Feather banners when wind is strong . 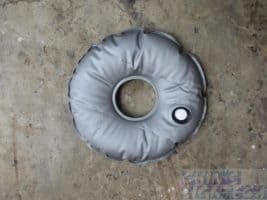 The water bag is filled with water to act as weight, weight around 12kg with 12 liter of water. 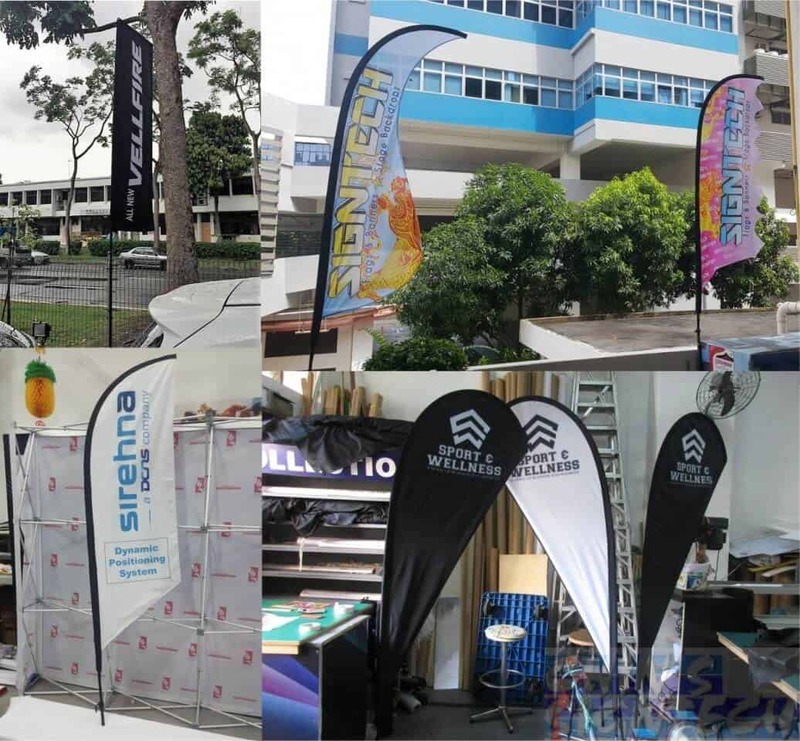 Each Feather Flag is dye sublimation printed on Polyester Flag resulting in excellent colour matching and deep, rich colour colours, which are suitable for indoor and outdoor use. Feather flags a stitched pole pocket, and heat welded edges to prevent fraying. 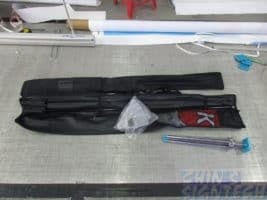 Each kit comes with a strong durable fiber glass pole, flag, carry case and choice or base. 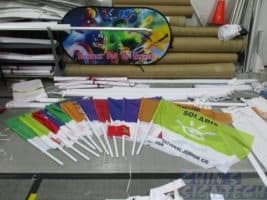 We offer single or double sided Feather flag printing. Single sided has a 90% bleed through on reverse for vibrant colours on both sides. However the other side will be a reverse mirror image of your design, which may or may not matter to you. 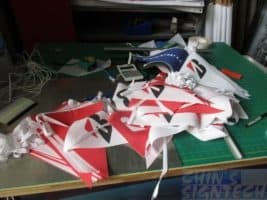 Double Sided Feather Flags are a true double sided, meaning you get 2 actual flags sewn together with a thin block out fabric in the middle so you can’t see the other side. 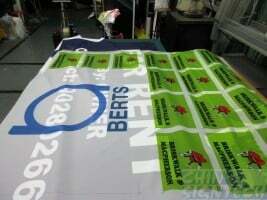 We offer great prices on double sided to encourage you to use it as in our opinion it simply looks better. 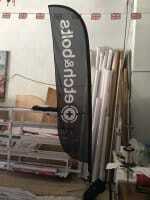 Why order your teardrop / feather flags and banners from us ? 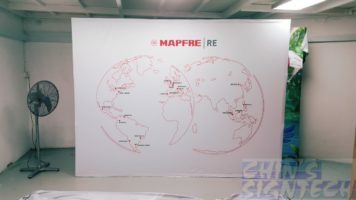 Any bad weather which cannot be controlled, will screw up the logistics or the China supplier delay order, your items for your events gone case. 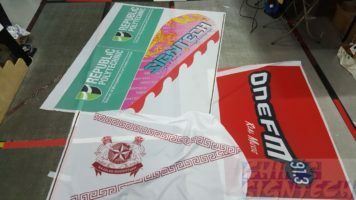 We are different, because we are specialize on flags and fabric printing, we do it locally. 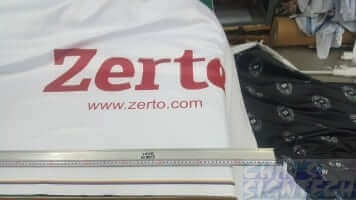 We are more reliable and passion on doing these fabric printing products. 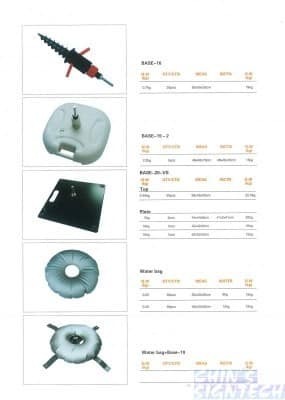 We have strong support from 10 years Alibaba Gold Award supplier from China. 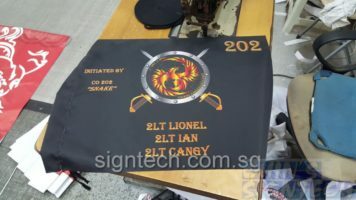 So look no further and make your own risk and decision who to order your flags and fabric printing. 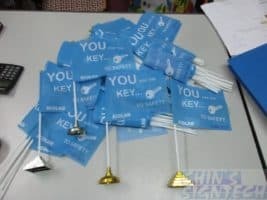 Feather flags that are smaller for an indoor display, or the larger units for an outdoor festival. 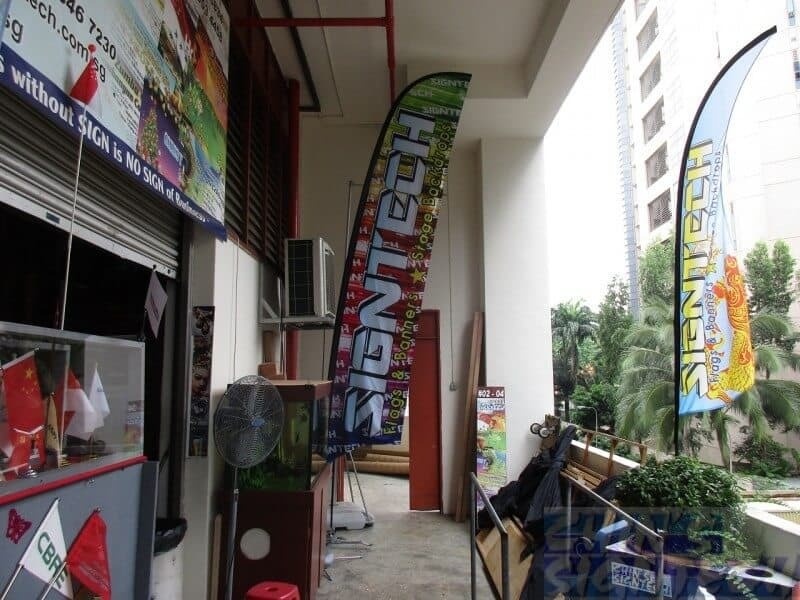 We offer 3 different shape of Feather flag for you to choose to fit your design ! All our poles are made of Fiber Glass which are more flexible and durable. 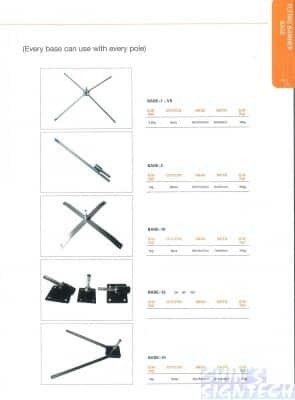 Unlike Aluminum composite poles will break easily, especially outdoor. 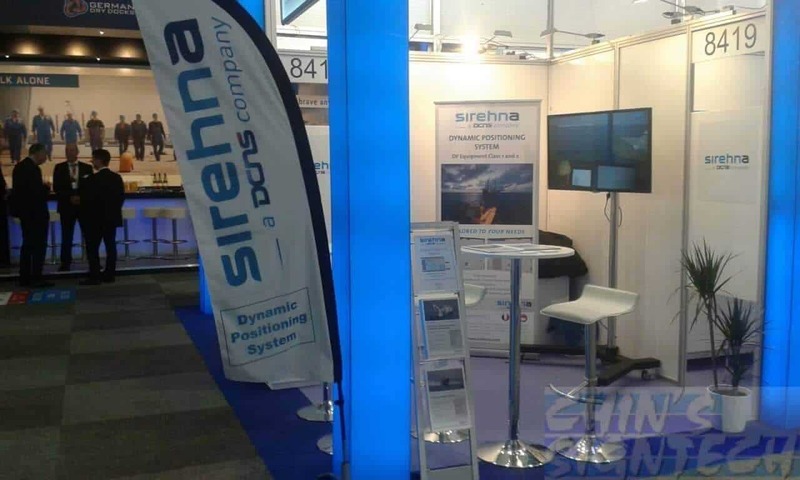 Small : Banner size specifications for 208.5×67.2cm, after bend the overall height is : 2.5m – $200 +- Popular height, just nice enough without worry about ceiling height. 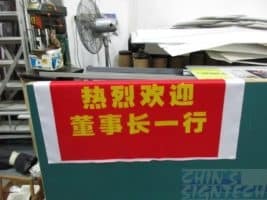 Be warned: Some Flag makers print with solvent ink or UV ink on the fabric. 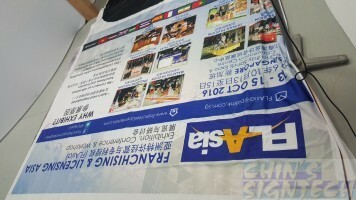 Solvent ink or UV ink are good for vinyl banner, but not for fabric print. The colors are only shining for a short time of 2 to 4 weeks. Then the color decreases strongly. 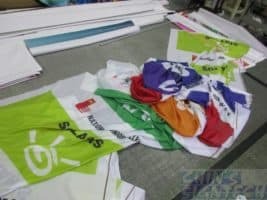 The ink is on the surface on material and not suitable for flags. 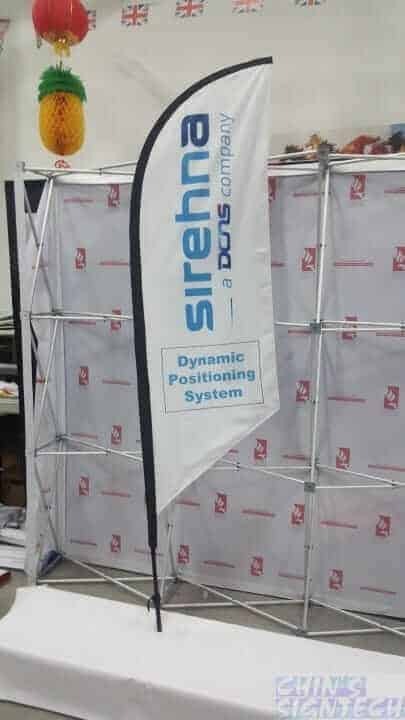 Lightweight, portable, and easy to assemble, each feather banner install and dismantle in a matter of minutes and require no additional tools to assemble. 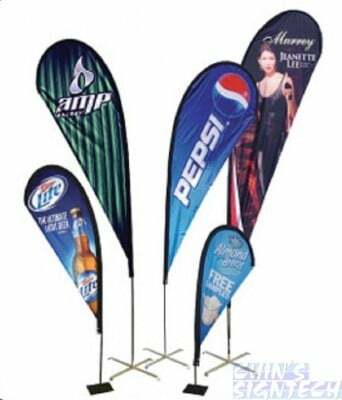 Ideal for on-the-go advertising, these outdoor event fixtures also fold up neatly into their own included carrying bags for travel. 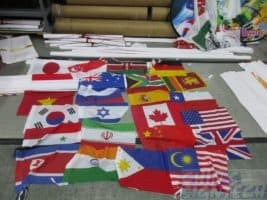 Which Base to choose for my Feather Flag Banner? 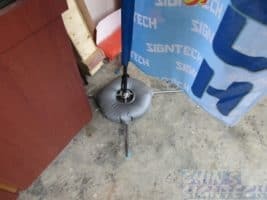 Signtech recommend using the 2.8kg foldable Base-1-VS base. 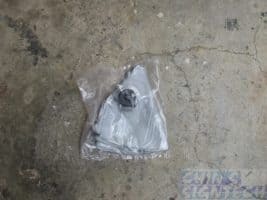 Because, it is more convenient to setup, you just need to open up the 4 legs and you are ready to fit the pole onto the rotating ball bearing at the base. 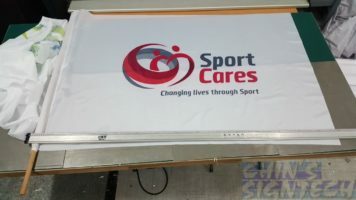 The weight 2.8kg is quite similar to standard Pull up banners which is suitable to place at indoor or outdoor. 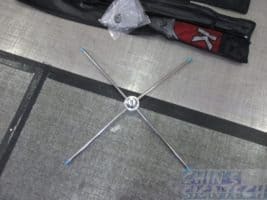 As for the Base 10 model, you need to screw the ball bearing onto the 2 metal bars, that is rather troublesome to assemble. It weight 4kg which is heavier than Base-1-VS base. 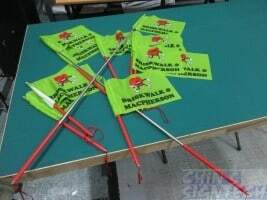 In some cases, you cannot use the flying flags metal base. You can have it mounted on wall with our wall mount bracket.